WANT TO SUPPORT BUSY BEE ACADEMY? 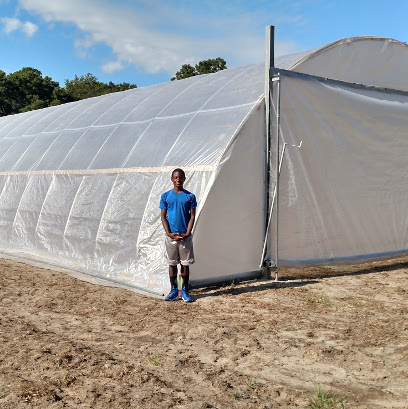 Located in a small, underprivileged community, the academy helps children become familiar with growing their own food while providing a free, nutritious lunch for every student. Funding will improve the school’s interactive “garden classrooms” through the purchase of educational curriculum, supplies and garden materials. The mission of the Garden of Hope is to build and share a edible education curriculum for pre-kindergarten through high school. We envision gardens and kitchens as interactive classrooms for all academic subjects, and a free, nutritious, organic lunch for every student. Integrating this curriculum into our school can transform the health and values of every child in our local communites! Our school is located in a small under privileged community and our program helps our children to become familiar with growing their own food. We need funding to provide educational materials and supplies to educate our children on the benefits of healthy eating. The garden will serve as a “safe place” for our students to learn and grow as our teachers experience higher workplace morale and increased “general satisfaction with being a teacher at our school. The funding will support the project by helping to purchase educational curriculum, supplies and materials to supplement and grow our program.